The application process consists of two phases. The first involves someone nominating a teacher for the honor. After a teacher has been nominated, he or she will then receive phase two of the application to complete. The deadline for phase one of the application process is Feb. 29, 2016. The nominated teachers will then be required to submit phase two of the application by March 18, 2016. A five-member committee will then review all applications and select five finalists to be interviewed. The winner and four finalists will be recognized at the 2016 Massachusetts STEM Summit. The schools of the four finalists will each receive $1,000 for STEM education courtesy of Raytheon. 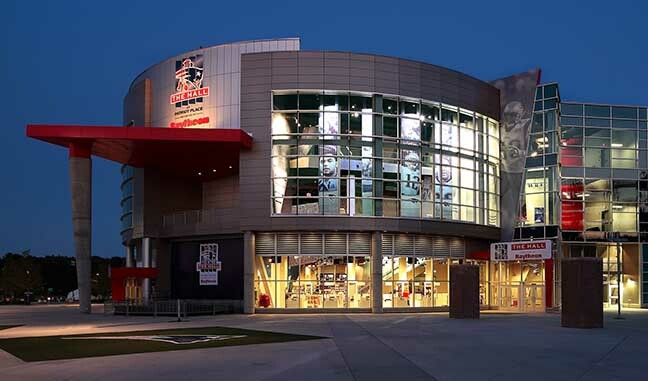 The Hall hosts more than 18,000 field trip visitors each year with most participating in on-site STEM-related programs and modules designed to connect football to science and math.